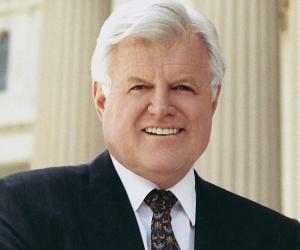 Ted Kennedy was an American politician who served as a Senator from Massachusetts. 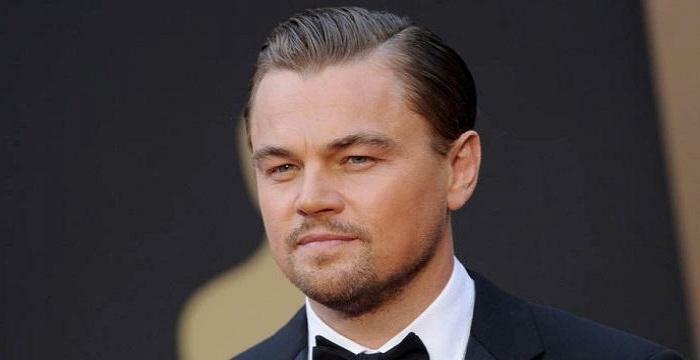 Check out this biography to know more about his childhood, family, personal life, career, achievements, etc. 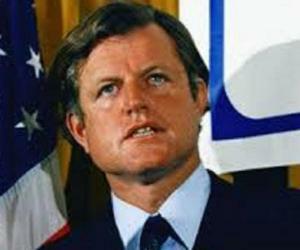 Ted Kennedy was an American politician who served as a Senator from Massachusetts. He was often referred to as ‘The Lion of the Senate’ because of his extraordinarily long tenure, which spanned across four decades. He was serving in the Senate at the time of his death, becoming the fourth longest serving senator in the history of the States. 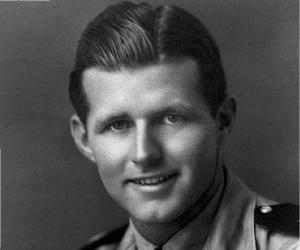 Unlike his brothers John F. Kennedy and Robert F. Kennedy, Ted was known as the longest-living son of Joseph P. Kennedy, Sr. and Rose Kennedy. Having served in the Senate for more than 46 years, Ted was recognized as the Senate’s second most senior member. Also, he was a ferocious orator and has delivered some of the best-known speeches, including 'The Dream Shall Never Die' speech on August 12, 1980. He was also one of the most influential politicians as more than 300 bills were enacted into law during his tenure. On August 25, 2009, Ted Kennedy breathed his last at the famous Kennedy Compound in Hyannis Port. Ted Kennedy was born as Edward Moore Kennedy on February 22, 1932 in Boston, Massachusetts, USA. Because of his father’s career, Ted, along with his eight siblings, had to frequently move to new places. As a child, Ted was forced to spend his childhood in multiple places like Bronxville, Hyannis Port, Palm Beach, and London. 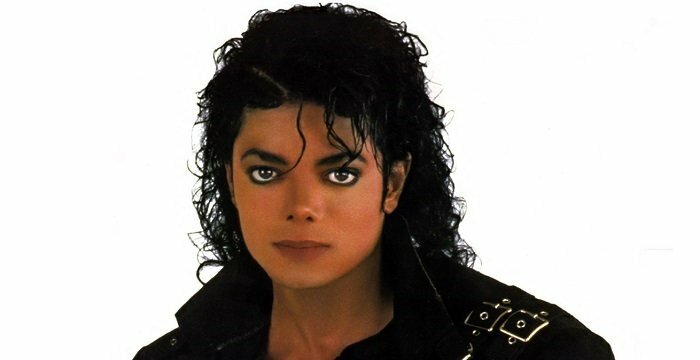 He was then enrolled at ‘Milton Academy’ in Milton, Massachusetts, from where he graduated high school. Constant relocation and the deaths of his siblings, Joseph Jr. and Kathleen, had a major impact on his academic performance. He mostly received B and C grades, and was considered a mediocre student. However, he was a star when it came to playing contact sports, such as football. He was also active in extra-curricular activities like drama and debate. After his high school graduation in 1950, Ted was enrolled at ‘Harvard College,’ where he was made a part of the freshman football team. Ted continued to struggle academically and was caught for cheating in one of the examinations. During his expulsion, he was informed that he could be readmitted within a year or two, depending on his behavior. Hence, Ted joined the United States Army in June 1951 and started his training in the ‘Military Police Corps’ at Camp Gordon in Georgia. After serving for two years, Ted was discharged from the army in 1953, after which he rejoined ‘Harvard College.’ Though he improved his study habits, he couldn’t improve his grades. 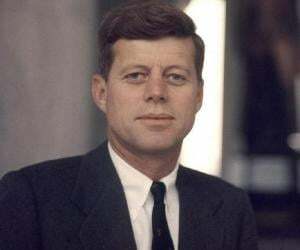 He graduated from ‘Harvard College’ in 1956, but was not admitted into ‘Harvard Law School’ because of his poor grades. He then got himself enrolled at ‘University of Virginia School of Law,’ which defied the University’s honor code as the management was aware that Ted was caught cheating during his stay at ‘Harvard College.’ After his controversial admission into the law school, Ted tried hard to keep up with his fellow students in terms of scoring decent grades. He managed to win the famous ‘Lile Moot Court Competition’ and was eventually selected as the head of Student Legal Forum. Thanks to his family’s political background, he started bringing famous personalities to the campus, which made him a popular student. In 1959, Ted graduated from law school with an ambition of making it big in the American political scene. During John F. Kennedy’s 1958 re-election campaign for the Senate, Ted was officially named as his brother’s manager. After helping his brother win the 1958 elections, he was assigned the responsibility of managing John’s 1960 presidential campaign in the Western states. After his victory, John resigned as the Senator, but Ted couldn’t compete for the post left vacant by his brother as he was yet to turn 30. In order to keep the seat available for Ted, a family friend named Ben Smith was appointed as the interim senator. Meanwhile, Ted started working as an assistant district attorney and went on several trips, including the 1961 nine-nation Latin American trip, during his tenure. In 1969, he defeated Russell B. Long, the Senator from Louisiana, to become Senate Majority Whip. In 1970, he was re-elected as the Senator when he defeated the Republican candidate, Josiah Spaulding. In 1971, he was defeated by Robert Byrd of West Virginia, which cost him his position as Senate Majority Whip. However, he later said that the defeat was a blessing in disguise as it helped him to focus on other things. Throughout the 70s, Ted fought hard against several political leaders, including the then President Jimmy Carter, in order to put in place a solid health-care system for the country. In 1979, Ted proposed a national health insurance bill, which did not gain any traction in Congress. He later said that his relationship with Jimmy Carter was unhealthy, which was pretty apparent as he was constantly criticizing Carter’s policies. In 1980, Ted finally decided to run for the presidency, which prompted him to come up with one of the most popular speeches in the history of American politics. However, despite his ‘The Dream Shall Never Die’ speech, Ted not only lost the presidential race but he also found himself in the minority party for the first time in his political career. Ted continued his fight towards achieving American liberalism and won the 1982 re-election to retain his position as the Senator. Ted did not face any tough challengers who could pose a threat to his position as the Senator for the next few years. However, during the 1994 elections he was challenged by Mitt Romney who gave him a tough fight. Though Ted managed to win, it was the closest re-election race in his career. Ted was constantly trying to come up with an effective national health insurance program throughout his career. Despite his strained relationship with President Bush in the early 2000s, he chose to work with Bush in order to extend the health insurance program called ‘Medicare’ that would cover prescription drug benefits. However, when the final bill was passed, Ted stated that he was betrayed by the Bush administration and opposed the ‘Medicare Modernization Act,’ which was enacted in 2003. During the 2008 presidential elections, Ted chose to support Barack Obama as the latter had promised to make universal health care his top priority if he gets elected. During this period, Ted faced serious health issues as he was diagnosed with a type of cancerous brain tumor. Despite his deteriorating health, Ted continued to serve as the Senator and did so until his death on August 25, 2009. In what was later termed as the incident that could have dampened his chances of becoming the President of America, the Chappaquiddick incident which took place on July 18, 1969 was one of the defining moments of his political career. 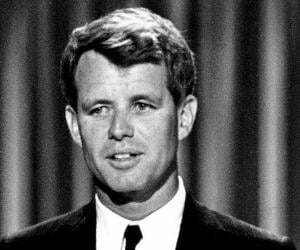 After hosting a party for a group of women, he left the party with a woman named Mary Jo Kopechne. Ted was driving an Oldsmobile Delmont 88 along with Mary when he was stopped by the Dike Bridge in Edgartown. However, he chose to cross the bridge which did not have a guardrail. Unfortunately, Ted lost control over his car, which plunged into the tide-swept Poucha Pond. 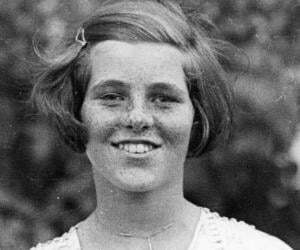 Though he managed to escape by swimming across to the shore, he could not save Mary Jo Kopechne as she was trapped inside the vehicle. Ted later faced the wrath of many for leaving the accident scene and for not informing the police about the accident, immediately after its occurrence. The incident, which gave rise to many speculations, would continue to affect Ted’s political career. It was also considered by many as the incident that might have dampened Ted’s chances of becoming the President of the country. In October 1957, Ted met Joan Bennett when he was studying in law school. Joan was a model and had won many beauty contests. After dating for a year, the couple got married on November 29, 1958 in Bronxville, New York. Ted and Joan were blessed with three children, namely Kara, Ted Jr., and Patrick. In 1982, Ted and Joan got divorced as their marriage was rocked in the 1970s due to Ted’s infidelity. He then married Victoria Reggie on July 3, 1992. Victoria, who is a lawyer by profession, is credited with stabilizing his personal life, which in turn helped his political career. After suffering a seizure on May 17, 2008, Ted was rushed to Cape Cod Hospital and then to Massachusetts General Hospital, where doctors confirmed that he was suffering from malignant glioma, a type of brain tumor. On August 25, 2009, Ted lost his battle against the tumor as he passed away at his Hyannis Port residence in Massachusetts. His funeral was attended by the then President Obama, who was accompanied by former presidents Bill Clinton, George Bush, and Jimmy Carter. The funeral was also attended by several other prominent dignitaries and celebrities from across the States. President Obama termed his death as the ‘passing of an extraordinary leader’ and several other tributes were poured in from prominent personalities. Ted’s mortal remains were laid to rest at Arlington National Cemetery with a white oak cross as his grave marker.